F. Tobias (Toby) Morriss was an adjunct professor of photography at the University of South Carolina who died in February 2010 from injuries sustained in a hit-and-run motorcycle accident. He was only 36. Morriss was renowned for his skills as a machinist/mechanic and bricoleur, in addition to his stark and haunting images produced almost exclusively in black and white through the silver gelatin process. A remarkably popular professor and friend, Morriss mentored dozens of photography students who remained in close contact with him long after they had finished their studies at USC, and he found great satisfaction in helping non-photographic artists in the USC Art Department to hone their craft and find inventive solutions to difficult artistic problems, whether philosophical or mechanical in nature. SilverYana: The Photography of F. Tobias Morriss brought together more than 75 images from his massive body of work, some of which have previously appeared in exhibitions in North and South Carolina, Louisiana, Oklahoma, Pennsylvania, and Illinois. This new exhibition also brought to light many of his other works that had not previously been exhibited, as well as some of the unique handmade cameras Morriss built and designed during his remarkably productive but tragically short career. This comprehensive and engaging exhibit highlights the extensive natural science collections at USC’s McKissick Museum. Displaying artifacts that have remained unseen by the public for nearly one hundred years, the Natural Curiosity exhibit brings back on view a collection that once rivaled the natural science collections at Yale and Harvard for its complexity and scientific value. In addition, the exhibit asks visitors to consider why it is that we collect artifacts from the natural world and how such collections can help us understand the vast changes taking place on our planet as a result of climate change and a decline in biodiversity. 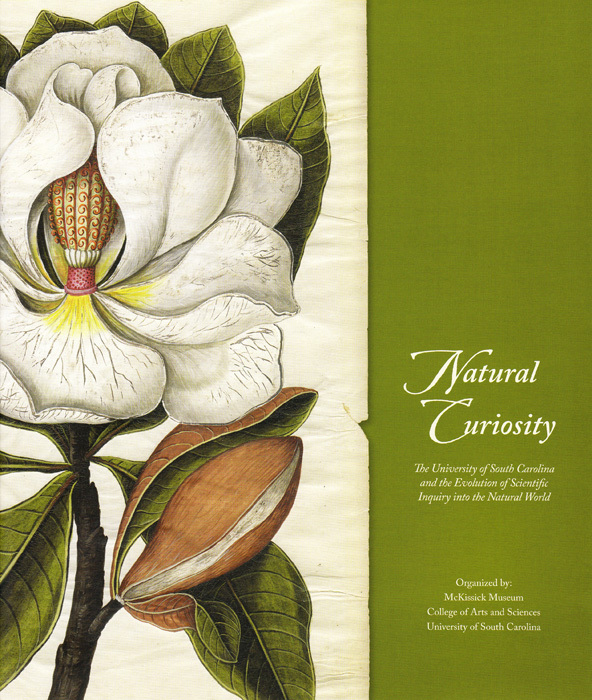 Also included is an intriguing recreation of famed South Carolina naturalist Rudy Mancke’s office, as well as items collected by Thomas Cooper, James Woodrow, A.C. Moore, Lewis Gibbes, and other renowned South Carolina naturalists.